The Scottsdale Arabian Horse Show has been enchanting fans and setting the pace in the Arabian horse world since 1955 when it debuted with only 50 horses in competition. 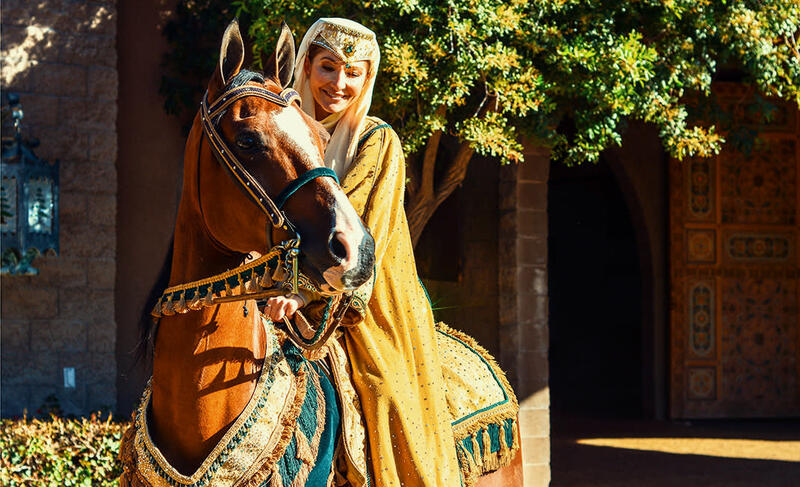 This year, nearly 2,200 of the world’s most highly prized Arabian horses will compete for top honors at WestWorld of Scottsdale while thrilling crowds with their beauty, grace and athleticism. So, what exactly does it take to become a Scottsdale Arabian Horse Show champion? And that’s just the beginning. Horses and riders spend countless hours in the ring perfecting their technique and the nearly imperceptible signals – a subtle pull on the reigns, the nudge of a knee or reassuring squeeze of legs – that communicate when to change gait, speed or countenance during competition. 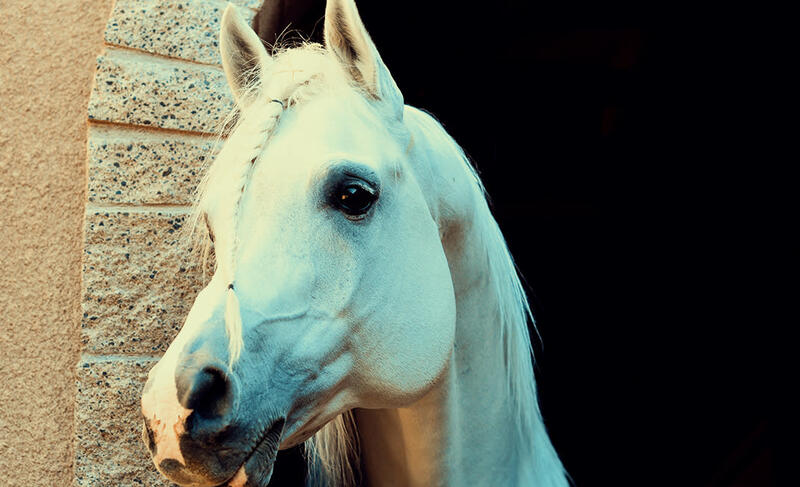 An Arabian’s coat needs excellent nutrition and careful tending to maintain its luster. Tails must be washed, conditioned and braided with sheeting to stay long and full. And then there’s the most important characteristic of an Arabian champion – heart. Luckily for us humans, horses aren’t the only ones having a great time at the Scottsdale Arabian Horse Show. 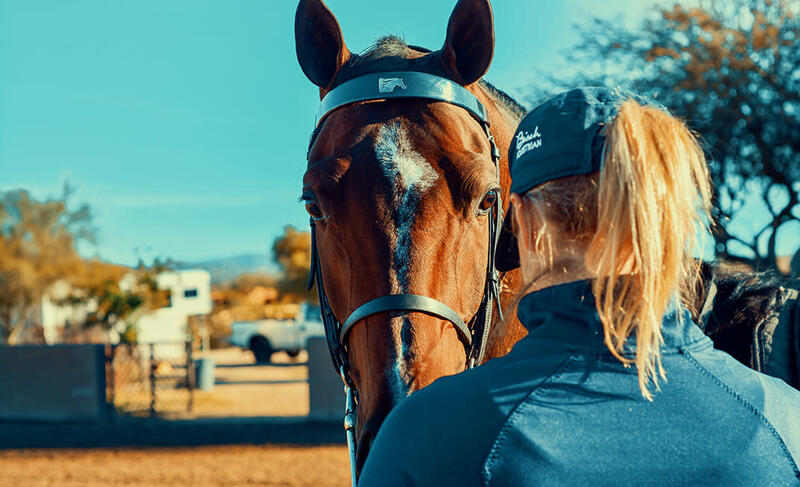 Whether you’re a seasoned equestrienne or have never set foot near a barn, this show is a must-see on your Scottsdale itinerary. Another crowd favorite is the Mounted Native Costume class, one of the events in which Flinders and Mag Wheels will be competing in 2019. 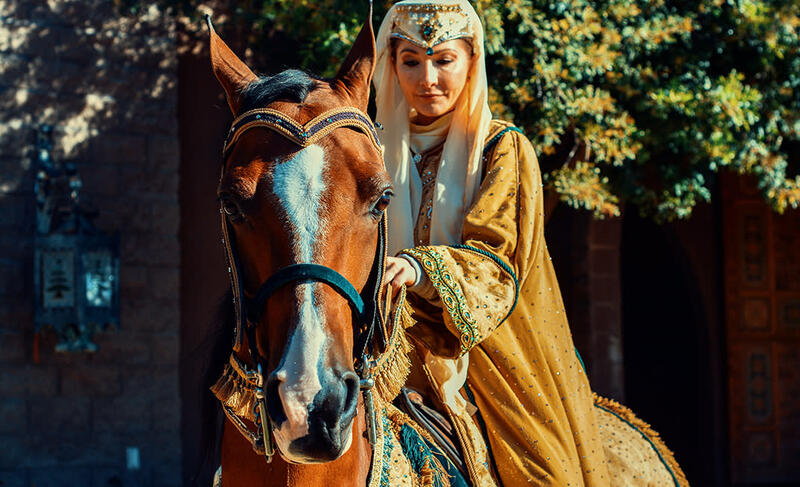 Here, horses and riders sport elaborate costumes inspired by traditional Bedouin dress. Other show highlights include behind-the-scenes barn tours, pony rides, a petting zoo, gourmet food options and a shopping pavilion filled with treasures ranging from clothing and horse-inspired art to fine jewelry. The 64th annual Scottsdale Arabian Horse Show takes place at WestWorld of Scottsdale, February 14-24, 2019. Mag Wheels and his friends hope to see you in the stands!